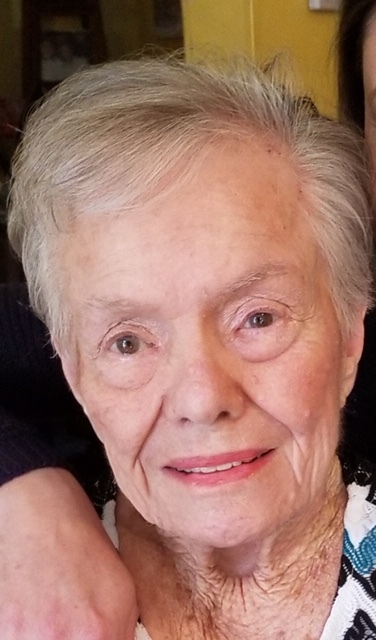 Savannah- Mary Lou Riner Bland, age 86 passed away Thursday, January 31, 2019 while under the care of Hospice Savannah. Mrs. Bland was born in Savannah to the late Cecil Vernon and Lilly Mae Riner. She was a secretary for the civil service and a homemaker. She was a member of South Newington Baptist Church, enjoyed crossword puzzles and especially enjoyed shopping. In addition to her parents, Mrs. Bland was preceded in death by her husband, Carlos A. Bland, Jr. Survivors include her daughters, Carla Rothman of Guyton and Karen Donell of Savannah; son and daughter-in-law, Kenneth W. and Nina Bland of Guyton; grandchildren, Jherra Filer, Taylor Green, and Lacey Moser; great grandchildren, Dominick Jordan Davis, Ella Brook Moser, Charlotte Moser and is expecting an additional great grandchild. Flanders Morrison Funeral Home and Crematory is in charge of the arrangements for Mrs. Mary Lou Riner Bland.